Florida's biggest party is back. Universal's Mardi Gras returns Feb. 9 - April 4. - Star-studded concerts on select nights - Nightly parades with a new theme - Party Animals! - New French Quarter entertainment, food and drinks - Beads, beads and beads! 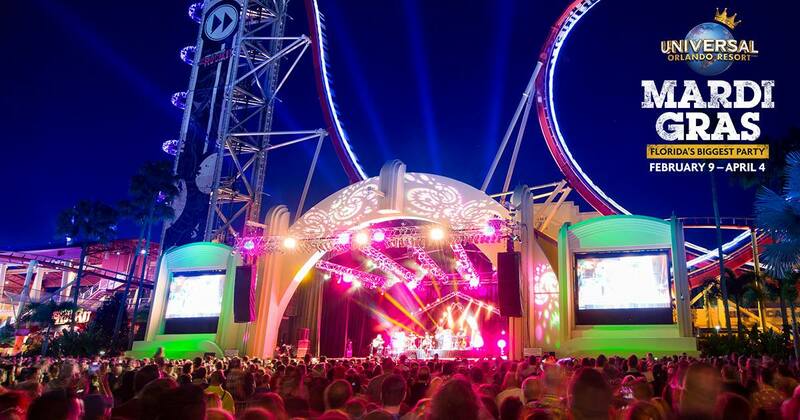 All concerts will take place at the Music Plaza Stage in Universal Studios Florida. Access to the concerts and Mardi Gras festivities is included with paid admission to Universal Studios Florida or with a Universal Orlando Annual Pass*.